The Los Angeles Beard and Moustache Club is putting on their second annual Facial Hair Competition. Now I know when you think of facial hair your mind probably doesn’t think of competitions, but these things have been growing bigger and bigger with more and more people putting them on. The facial hair community is on the uprising and more people want to showcase what their faces can grow! SO people have been putting together competitions. What is a facial hair competition?? WELL the easiest way to describe it would be to say it is a facial hair beauty pageant. Guy (and Gals) Put together costumes, groom and grow their facial hair (real or fake), get up on stage and compete against each other in several different categories based on what type of facial hair you are sporting. 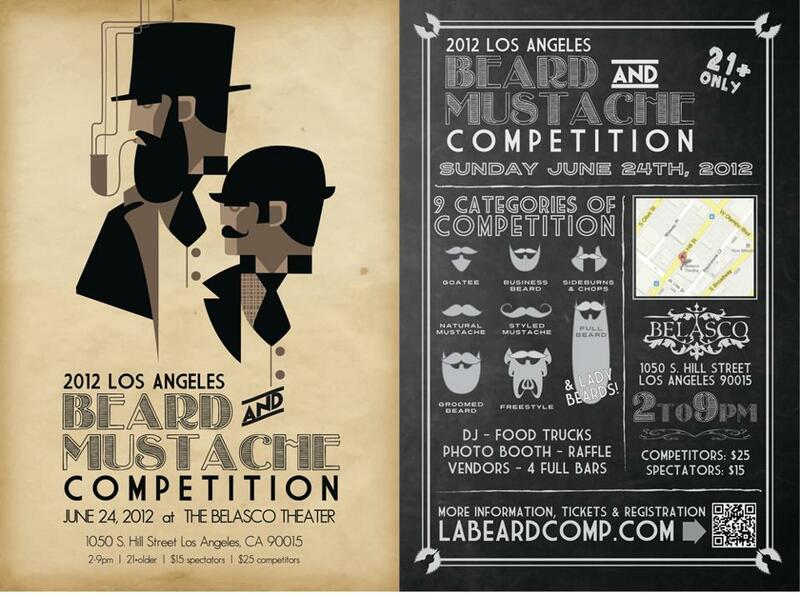 On Sunday, June 24th the LABMC will be hosing The 2012 Los Angeles Beard and Moustache Competition. This year they have 9 Different categories, This is a huge change from last years 5. With 9 different categories there is a place for EVERY type of facial hair. Yes ladies, they even have a Whiskerina category. If you are planning of attending this competition (WHICH I HIGHLY SUGGEST) I would recommend buying your competitors and or spectators tickets in advance, as last year they sold out! If you’re interested in learning more about the competition then head on over to the competitions website and have yourself a gander!